2011 was a wild year for video games. As gamers, we've seen some of the most wonderfully conceived and designed titles this medium has ever offered in the span of just 12 months. As consumers, most of us don't have pockets deep enough to enjoy every piece of astounding software that hit the market. In all of that gaming goodness, there's one title in particular from 2011 that I feel should stand in the spotlight, if only for an instant. That game is Rayman Origins from Ubisoft. If you've heard of it, if you've played it and, especially, if you own it, I salute you. However, odds are, none of those things apply to you. You've probably ignored Rayman Origins so far; but, I'm here to tell you that you shouldn't. I was lucky enough to grab this title for $30 during the Black Friday sales this past November. Since then, it's become a mainstay at my house (which says a lot for someone constantly changing games in the name of review coverage) and has earned a spot on the shelf nearest my consoles. When friends come over, we play Rayman Origins. The art style (which is beautiful), the music, the mechanics, the level design and the humor make this game a top-notch standout during 2011. I'll even go as far as to say that this is one of the best platformers I've ever had the joy of owning. The game is challenging in the best sense of old school gaming. Areas will torture you at times, but clearing them brings on a sense of pure reward. Not to mention the fact that Ubisoft made sure this game pays players with unlocks constantly. There's enough content here to get you through a few weeks of constant play, and that in itself is a testament to the design. Rayman is one of the gaming medium's best characters. Michel Ancel, the creator of the franchise, was the lead designer for Rayman Origins. He, and the entire Ubisoft Montpellier team involved with the project, deserve immense amounts of praise for their work on this game. 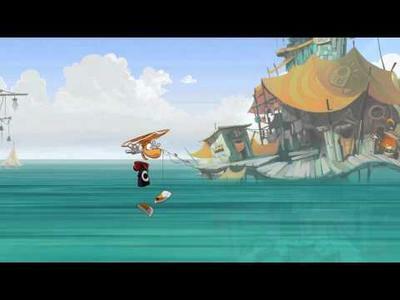 Rayman Origins is a 2D platforming masterpiece. The bad news for Ubisoft (which is actually good news for you) is that Rayman Origins will likely be put on sale at major retailers within a few months. If you wait until, maybe, February or March, you might be able to land this game for $30 or $40. At $59.99, I wouldn't regret the purchase. But, not buying it at $30 or $40 would be an absolute mistake. 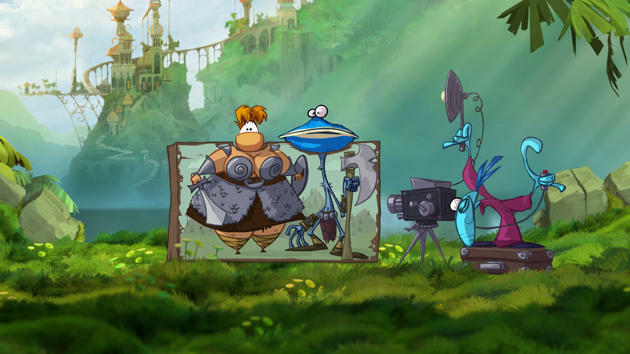 Rayman Origins is currently selling for the Xbox 360, PlayStation 3 and Nintendo Wii. It's also slated to come out for the PS Vita and Nintendo 3DS down the line.